While poking through the fridges at my local health food store I recently discovered that a number of new vegan cheeses had arrived on the shelf. Not a big fan of vegan cheese, I had been in the past known to call it plasticy muck, among other things, but I thought perhaps this was being too harsh. With all of these new cheeses on the shelf there must be demand for this stuff coming from somewhere - maybe I'd had it wrong all along? Not content to let it sit, I decided to buy up some cheese, amass some troops and find out once and for all, is there a vegan cheese out there that you can sit back with, relax and enjoy a glass of wine? The answer is sadly not too far off my original assumption, and that is 'not really'. After munching back four different types of Sheese and four different types of Chezley we came to the conclusion that while we wanted them to taste good, not many of them actually did, at all. And we gave them a good run. There were grids and there were numbers, I even bought in special pens. It was a rather serious task, despite the amount of wine that was drunk along the way. 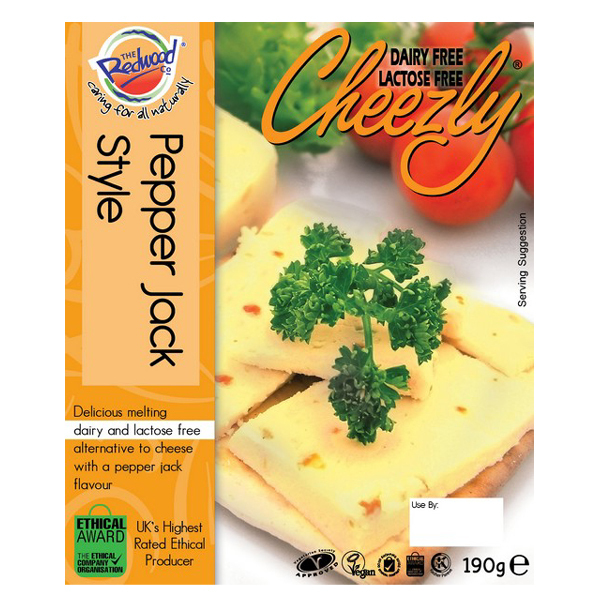 There was one cheese however that we all agreed was the best of a bad bunch: Chezley Pepper Jack. Soft, spicy and tasting the least like plastic, it was concluded that if you ever wanted to have vegan cheese out on the table that people won't turn their nose up at, this was the one. In the overall ratings from our humble little group, Chezley took most of the top spots, although Sheese Smokey Style Cheddar snuck into number two once we calculated our scores. It wasn't all bad news for vegan cheese though. Not wanting to see another block for quite a while, it was banished from the house to another friend's place where he used it for pizza the next day. And it seems heat is key, as he came back with nothing but praise. Vegan cheese, there is hope for you yet.